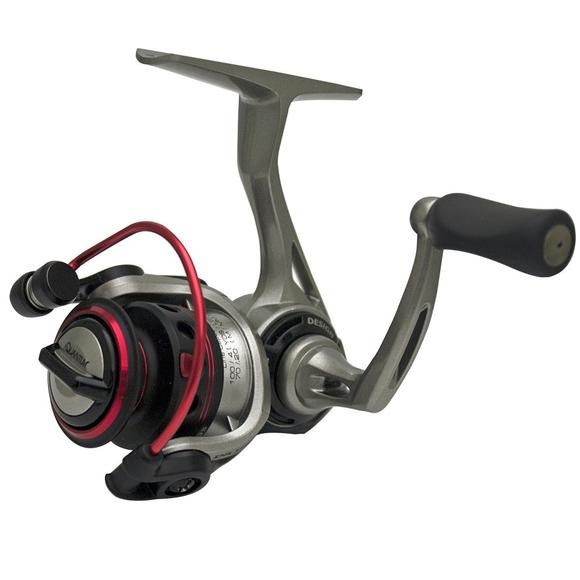 The new Quantum Drive™ spinning reel is highly affordable and built from the same uni-body construction as the popular Quantum Throttle™ with precisely aligned gears for the sort of smoothness found in much pricier reels. The new Quantum Drive™ spinning reel is highly affordable and built from the same uni-body construction as the popular Quantum Throttle™ with precisely aligned gears for the sort of smoothness found in much pricier reels. Quantum&apos;s exclusive Reel Engine Design™ means the graphite body used to build Drive™ is all one gear box, compared to the 2-piece construction found in lesser quality, looser-feeling, reels at even higher prices. Quantum&apos;s anti-reverse systems are designed and tested in the Q-lab to deliver a lifetime of instant hook sets.